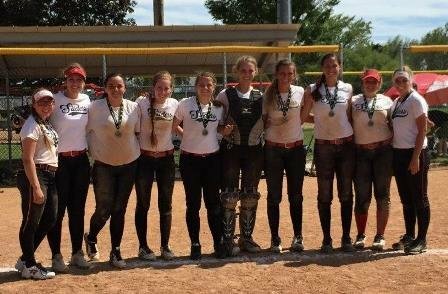 Every year in June, Brigham City Recreation holds the annual Brigham City Invitational Softball Tournaments. These tournaments are designed for both fierce competition and lots of fun. We invite you to bring your teams to Brigham City to enjoy the beautiful park and facilities that we offer. You can get a room at one of our local hotels (Crystal Inn or Hampton Inn) which are located within 10 minutes of the park; or you can camp in the parking lot. For information on camping in the parking lot, please contact our office at (435)734-6610. The softball fields are at Pioneer Park in Brigham City. Some of the other attractions at the park include the Brigham City Outdoor pool, a fishing pond, playground equipment, pickleball courts, and a walking path. This is a girls fast pitch league for ASA registered teams. All games will be played on Saturdays for 12u,14u, and 16u teams, for 10u teams games will be Tuesdays. Limited to the first 27 teams. All teams registered will need to have ASA insurance.